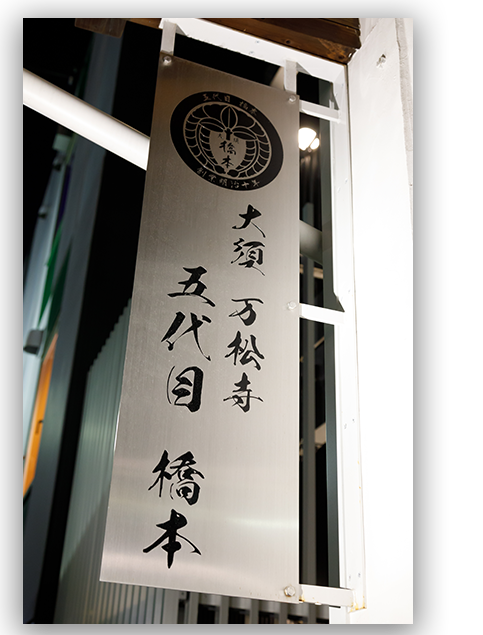 Ōsu Bansho-ji Godaime Hashimoto - Popular Matusaka beef steak restaurant in Ōsu, Nagoya. Ōsu is located in the center of Nagoya. just off Ōsu Shopping Street. 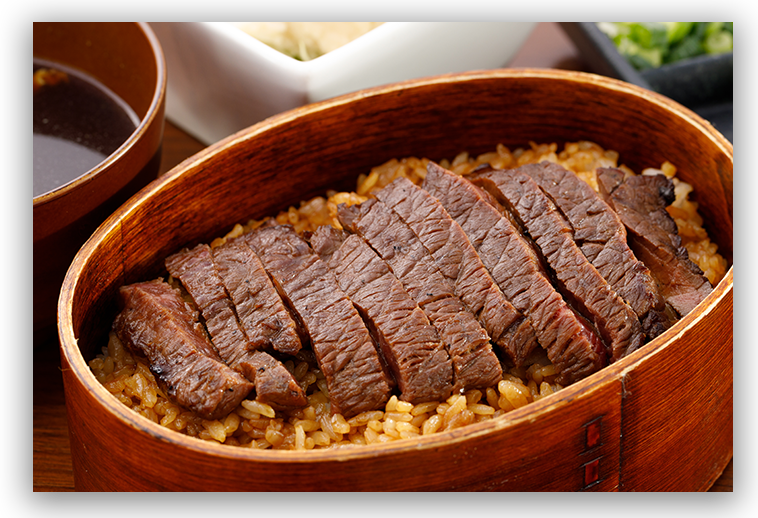 Our restaurant uses grade A4 and A5 Matsusaka beef, reared at the Matsusaka beef farm Matsusakagyu-no-Sato Ocean Farm. 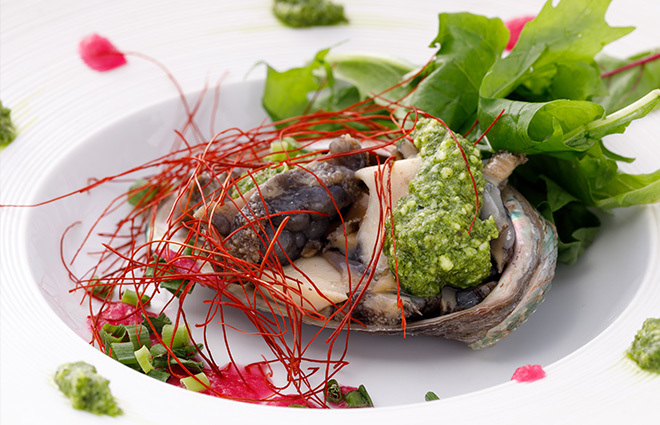 In addition, we offer delicious dishes featuring seasonal vegetables and fresh seafood. 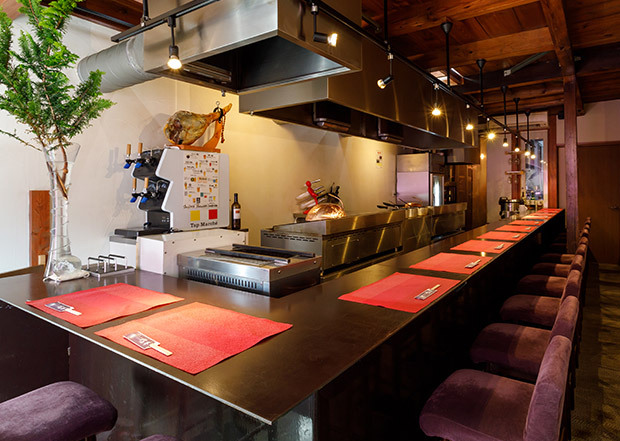 Our restaurant is equipped with counter seats and individual dining tables. We also offer private dining rooms suitable for a variety of occasions. 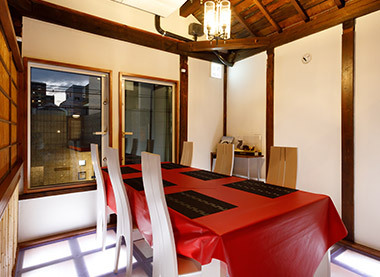 Located close to Kamimaezu Station, on the Nagoya Municipal Subway Meijo Line and Tsurumai Line. Enjoy a moment of bliss at Ōsu Bansho-ji Godaime Hashimoto, where customers can enjoy delicious steaks and western-style dishes. *Displayed prices are exclusive of tax. 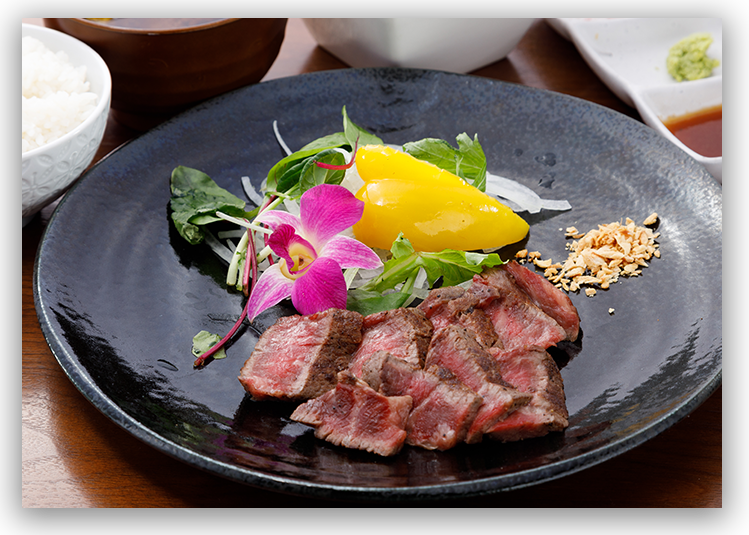 Beef Hitsumabushi is an extremely luxurious dish featuring top grade Matsusaka beef from Japan. This is a specialty dish that has been loved by many customers since the establishment of our restaurant. The key to this dish is our secret sauce, which has been handed down from chef to chef throughout the years. We carefully coat the beef twice in this sauce to make each bite overflow with delicious flavors. 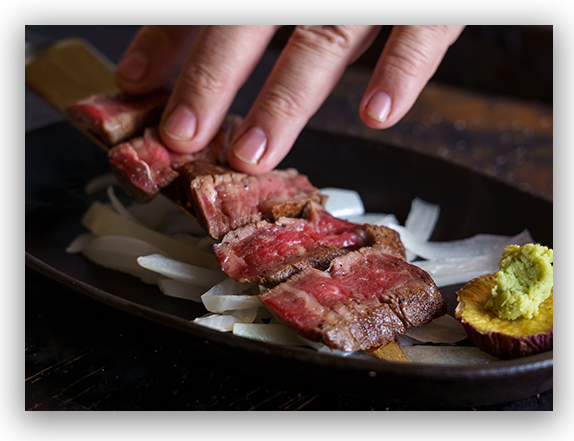 Having a steak is the best way to directly enjoy the delicious, original flavor of Matsusaka beef. The high quality of the beef is precisely what allows us to cook it to an appetizing rare color. Be amazed at the tenderness of the beef and the delicious flavors that spread out as soon as they enter your mouth. Enjoy accompanying condiments to suit your taste. Delicious when enjoyed with a craft beer. Wine and Japanese wine also available. *Course dishes are examples only. Change to the Chateaubriand option for a ¥2,500 supplement. Add truffles for a ¥1,500 supplement. We offer meat dishes made with our pride and joy, Matsusaka beef, plus well-balanced individual dishes and teppanyaki hot plate dishes featuring seasonal vegetables and high quality seafood, such as abalone. 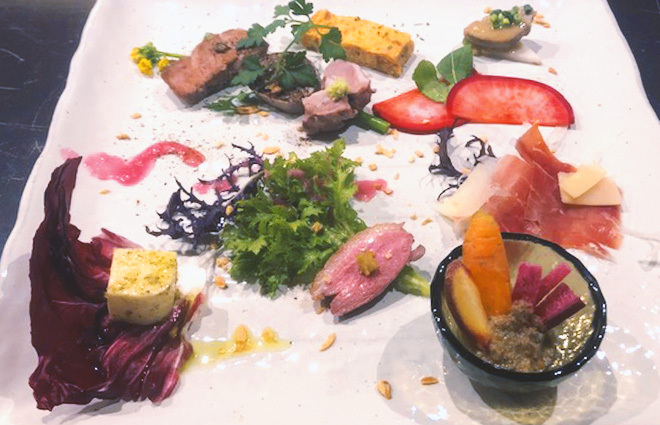 Enjoy individual dishes with some wine or Japanese wine. and a large variety of additional drinks. 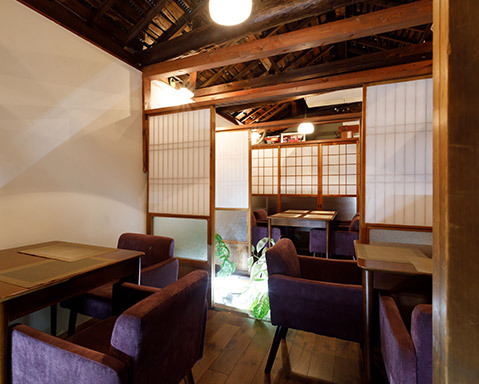 The first floor provides counter seats only, offering a charming space perfect for adult time. Light shines through a large window, creating a different mood between day and night. The private dining rooms on the second floor are popular for business entertainment, enjoying dinner with friends, or romantic dates. Wine in hand, enjoy a truly relaxing time with delicious food. Meijo Line and Tsurumai Line. so please check in advance if you plan to visit after 20:00. 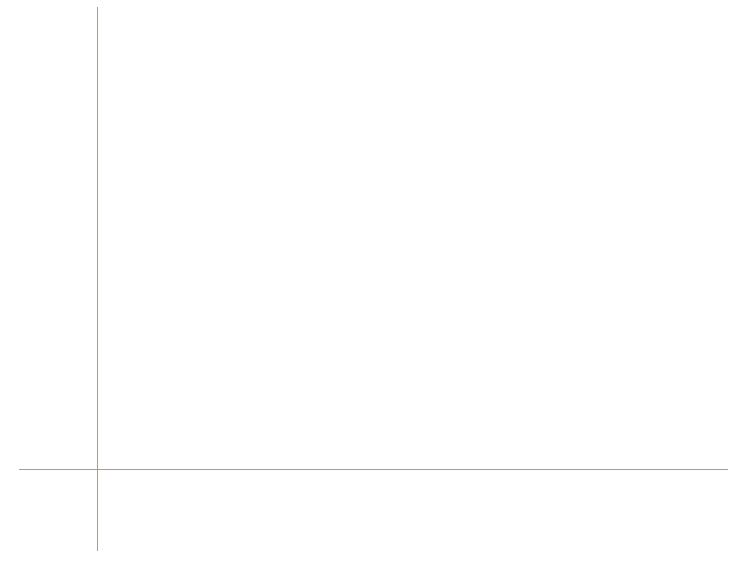 None; closures follow an irregular schedule. VISA, Master, JCB, AMEX, and Diners. © GODAIME HASHIMOTO. All Rights Reserved.